An original artwork on the cover of an original handmade Moleskine notebook. 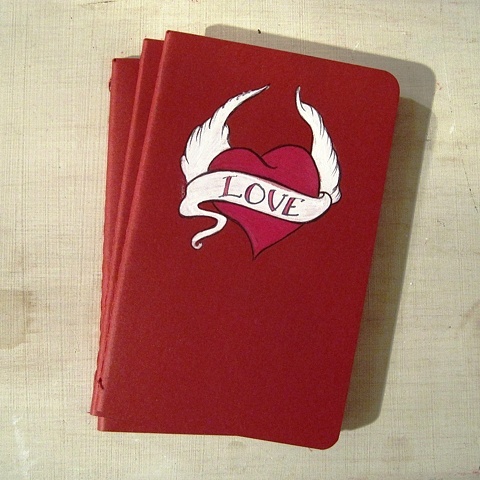 The cover of this book is a gorgeous deep red, and there's a dark pink heart, with white wings- like those classic tattoo designs. I can make a notebook just for you, if you'd like your own message or name in the cover. The books themselves are awesome- I love the paper they use, and the fact there's perforated pages is really handy if you want to give someone your contact details, or draw them a little picture!